Keeping busy when it’s crummy outside isn’t always easy or fun. Many pet owners try to maintain the routine with scheduled walks or runs, but there are times when it simply isn’t possible. Animals are incredibly sensitive to changes in their daily norms. However, when the days are shorter than the nights, the ground is wet and cold, and a chilly wind is blowing it can be easy to stay curled up in their comfortable beds. This tendency toward domestic hibernation makes winter pet activities more important than ever. 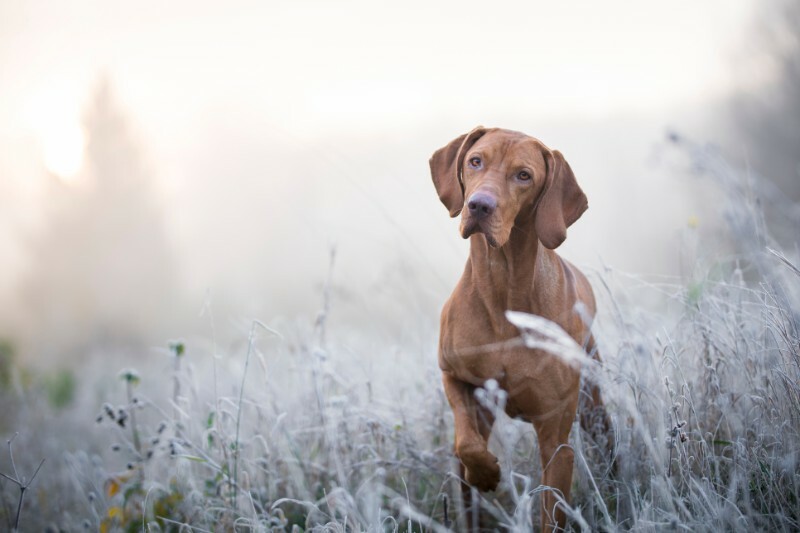 A great way to approach new winter pet activities is by knowing what motivates your pet. Using treats, praise, grooming, toys, and more to your advantage can really help get their bodies moving. Next, choose winter pet activities that you know your pet would like to do. For example, many pets like to employ their hunting senses. If that sounds like your pet, design ways that they can hunt, run after, and pounce on their “prey”. Additionally, working in a group setting can really pay off for a bored pet. They get the chance to make new friends, learn the best ways to socialize and behave around others, and engage with you in a public setting. Take Those Skills and Run! Similar to experiences at community dog parks or doggie daycares, play dates can be held indoors at private residences. These opportunities not only cultivate unique relationships between the dogs, but when they’re given experiences it shows you trust them. Instead of providing their meals in their typical food bowls, try food dispensing puzzles. Low tech toys like the Kong or high tech ones like Clever Pet Hub pair the eating experience with mental challenges. The association between a game/puzzle and a food reward can keep a dog busy for long stretches. Start out slowly and simply. Do not over challenge them; they’ll become frustrated and may give up entirely. Grooming may not necessarily pop up on your list of winter pet activities, but dry, warm indoor heating can dry out your pet’s skin. Brushing them out will help distribute their skin’s natural oils for a soothing effect. At home dental care, nail trimming, and cleaning of the ears and eyes also contribute to lasting pet wellness, and further strengthen the bond you share with your sweet pet. As always, if you have questions or concerns about these winter pet activities, please contact us.